Slice potatoes into evenly cut fries, then place into a bowl. Drizzle with just enough olive oil to coat. Add spice if using (note a small amount of cayenne goes a long way! ), then toss the potatoes with your hands to coat evenly. 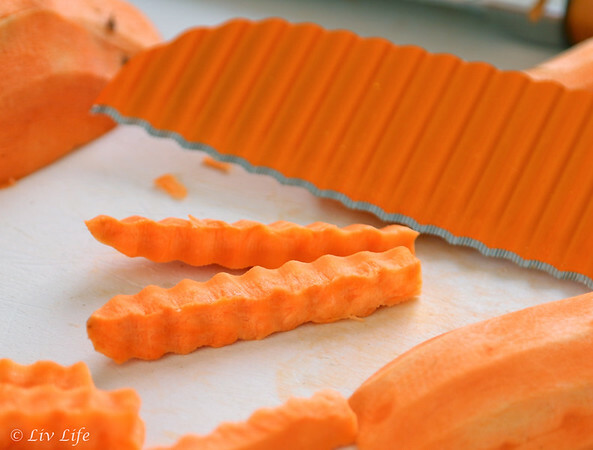 Pour onto a baking sheet lined with parchment paper. Spread fries evenly on the pan then sprinkle with salt and pepper to taste. Place into the oven and bake about 12 minutes. Remove from the oven and flip the fries... I found this to be easiest with a large spatula and scooping a few at a time and flipping. 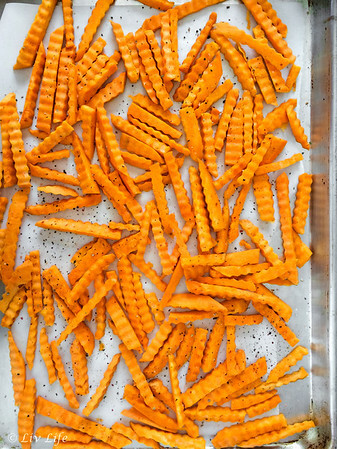 Once flipped, return to the oven until fries begin to brown - 10 to 15 minutes longer. 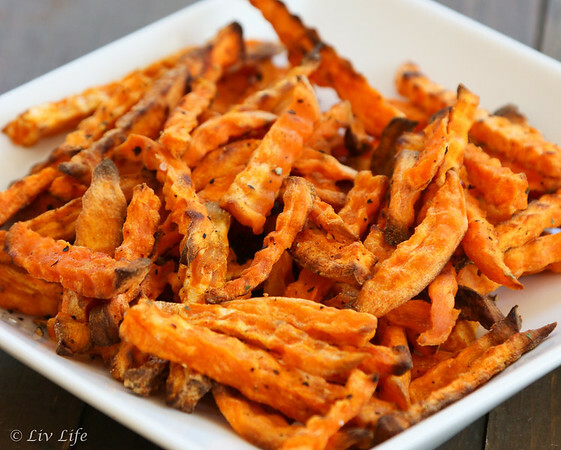 The fries will lose their sheen and become ever so slightly "puffed" when they are ready. Remove when they are done to your liking - Liv prefers hers somewhat soft, while I love a crunch to mine and a nice browned (even slightly burnt!) finish. Keep a watchful eye and remove when they are to your liking. Cool for a few minutes, then serve. Enjoy! 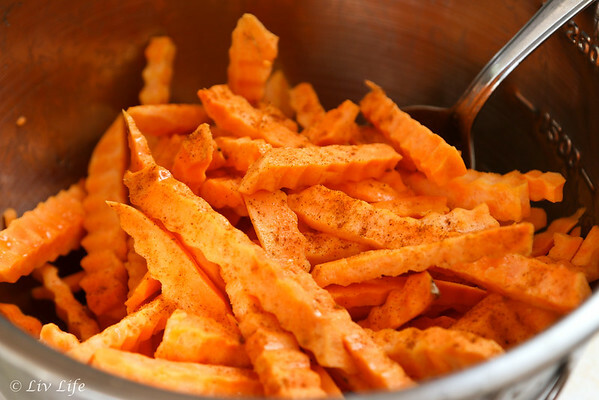 Liv Life Note: We've enjoyed these fries with smoked paprika, and also with a sprinkle of cumin and a squeeze of lime. Experiment for your favorite! Frankly though, my personal favorite is simply salt and pepper. Liv Life Note 2: Make sure to cut the fries as close to the same size as possible to ensure even cooking. Wow! these look phenomenal! I will be adding this to my menu next week. I think I'll make them with either turkey burgers or grilled chicken with a spinach salad, keeping the herb theme from the cumin, lime and paprika going throughout my dishes. LOVE! Shoot! 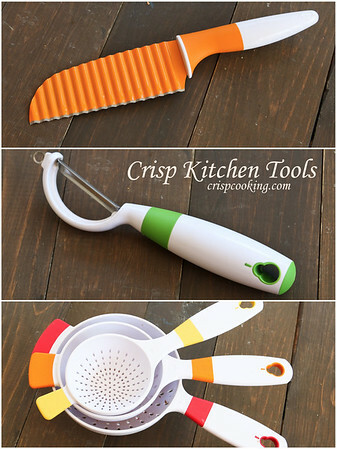 Now I need a crinkle cutter. I'd have so much fun with it! My kids would love these! 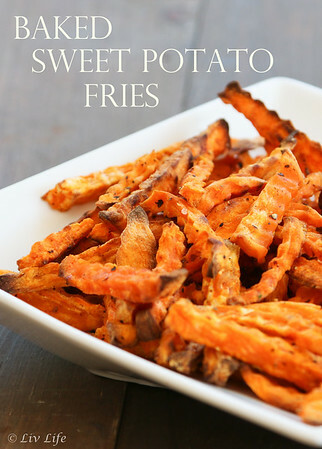 Love sweet potato! Such delicious and healthy fries! I love sweet potatoes and I eat a lot of them. 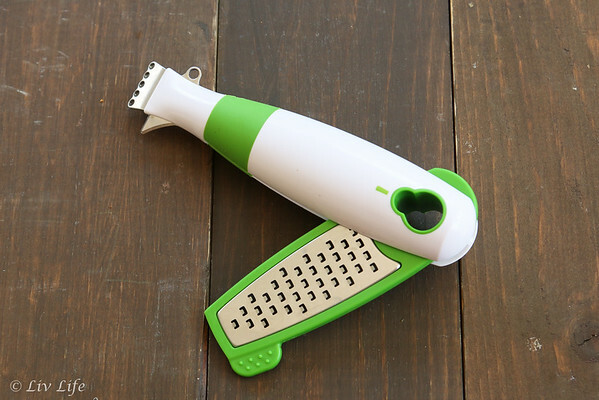 Wish that I had that wavy knife to make beautiful wavy fries like yours. These sound wonderful Kim, I love that Liv enjoyed them when you made them crinkly. Hope things are back to normal at your house these days!